This year, more expats will be feeling the pinch of providing for their children abroad – and if the company covers these costs, employers will feel the pinch. 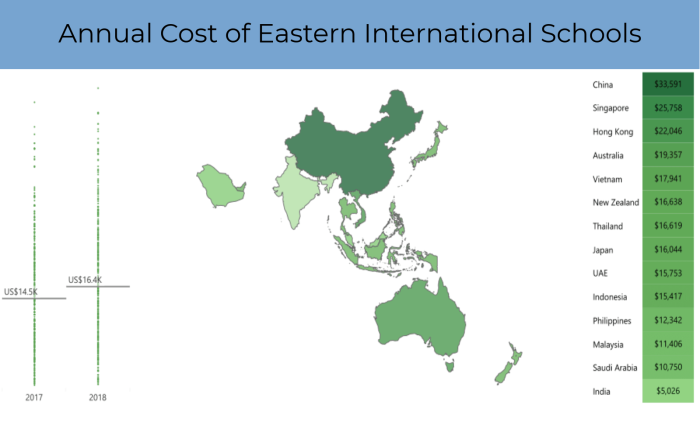 ExpatFinder International School Fee Survey 2018 found that school fees in the East rose up to an average of US$16,403 per year from US$14,150. Fees in China rose from US$25,820 in 2017 to US$33,591 in 2018 and fees in Singapore rose from US$23,198 to US$25,758. In Hong Kong, prices rose from US$18,465 to US$22,046, and fees in Malaysia rose from US$10,363 to US$11,406. Thankfully, as there are many schools to choose from in the East which will satisfy smaller budgets. 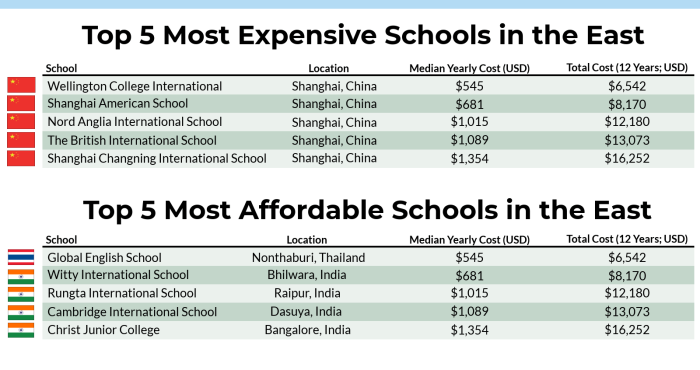 In fact, the five most affordable schools we found in our survey were located in Thailand (median cost of US$16,619) and India (median cost of US$4,893). Sebastien Deschamps – CEO and Co-Founder of ExpatFinder.com, said: “We continue to see a steady growth and demand for top-quality international education providers in Japan, Thailand, Singapore, Malaysia and Vietnam due to an increase in the number expats and affluent locals attending international schools, with these countries planning to build more schools while enlarging existing ones. 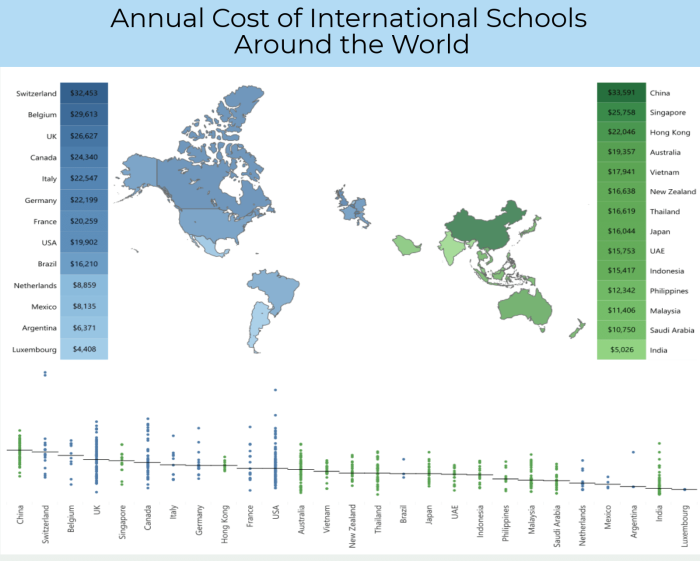 On the other side of the world, cost if international education remain expensive. 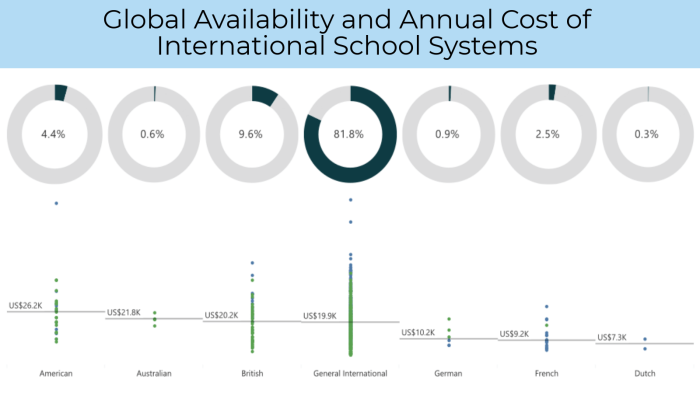 In fact, the report revealed that school fees in the West is significantly higher than in the East (US$22,730 compared to US$16,403). However, it also pointed out that this difference is primarily offset by the higher wages on offer. Similar to the East, there are large variations in cost across the region with significant savings to be found for those who are willing to shop around for their education. Likewise, individual countries can provide substantial discounts over their neighbours for expats who are more flexible, such as Belgium (US$29,613) and the Netherlands (US$8,859). 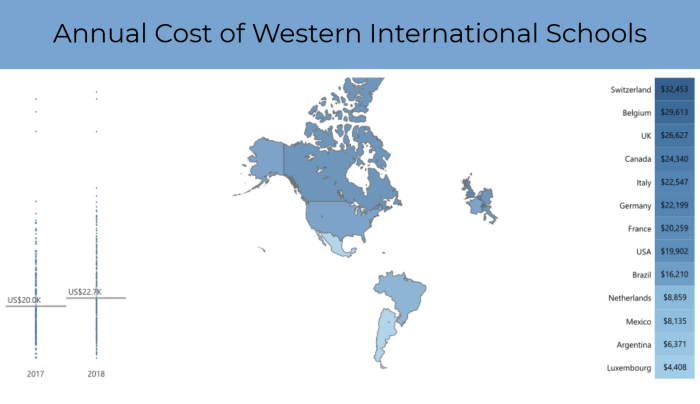 International education may be expensive, but that doesn’t mean there’s no way to save costs. One thing expats and employers can do is to search for different school systems. 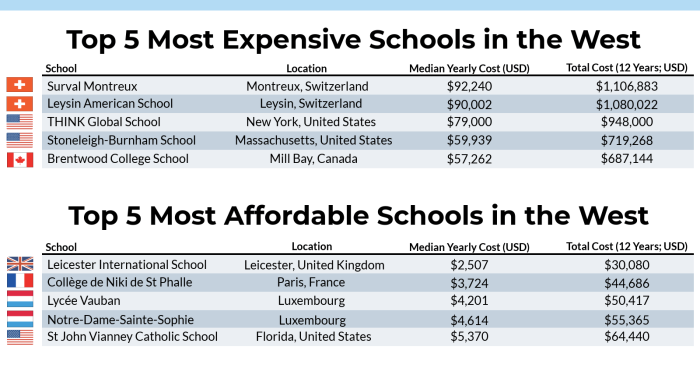 Where available, choosing a school following the French (US$9,489) or Dutch (US$7,329) system can bring significant savings of around 50% when compared to the cost of General International schools (US$19,907). 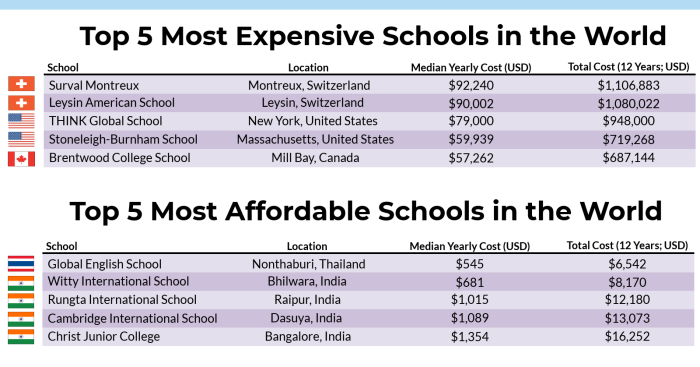 On the other hand, American schools have an average yearly cost of US$26,866, making them almost US$10,000 more expensive per year than the ordinary General International School.